Norfolk has a host of events throughout the year. Horse shows, hunter trials, hunter paces and Polo in the Country are crowd pleasers for participants and spectators alike. The Norfolk Hunt Field Hunter Show will will take place on Sunday, September 23, 2018. The event is a favorite among fox hunters, jumpers, eventers and riders of all levels as it provides a beautiful course of natural jumps, in a low-key relaxed atmosphere. Competitors consistently report they love the friendly ambiance, beautiful setting and strong tradition of foxhunting the show provides. Horses are judged on manners, performance and soundness. The Field Hunter Show takes place on the lower field of the Norfolk Hunt Steeplechase Course (240 North Street, Medfield, MA) and incorporates flat classes, traditional foxhunting obstacles and other elements experienced in foxhunts, including a "Gone Away," "Hold Hard" and "Lead Over," in which the rider dismounts to lead their horse over a lowered fence. Hunting attire is required for all competitors. Formal attire with hunt colors is also permissible. NOTE: NO SCHOOLING over NORFOLK HUNT CLUB PROPERTY FENCES allowed one week prior to the show. STRICTLY ENFORCED. Norfolk Hunt Horse Show Receives Prestigious Heritage Competition Designation from the United States Equestrian Federation. The Norfolk Hunt Horse Show, which will celebrate its 108th year on May 26 and 27, 2018, has been selected by the United States Equestrian Federation to join the ranks of such esteemed horseshows as The Hampton Classic, Devon Horse Show, Upperville Colt and Horse Show, and the Washington International to receive the prestigious "Heritage Competition" designation. In so doing, the NHHS becomes one of 24 shows -- out of 2,600 USEF competitions -- to hold the coveted honor given to a Federation show. The designation of a USEF Heritage Competition is reserved for those competitions that have been in existence for a quarter century or more, promoted and grown equestrian sport, and made a contribution to the community outside the gates of the horse show, by achieving, maintaining and promoting the equestrian ideas of sportsmanship and competition. The Norfolk Hunt Club submitted extensive historical documentation to the USEF, as part of the submission process for the Heritage Competition designation. This information included the history of the show, many historic photos and letters from equestrian professionals -- including Olympians -- who have enjoyed competing in the Norfolk Hunt Horse Show. On Sunday June 3, 2018 our annual Norfolk Hunter Pace starts at a new location, The Norfolk Hunt Club Exercise Field, 180 Centre Street, Dover, MA, The Pace will begin at 8:00 a.m. with the last rider out at 12:00 p.m. noon. Come for a beautiful 8 mile + ride through Norfolks beautiful territory of open fields and wooded trails in Dover and Medfield, some of which are not usually available to the general riding community. The teams finishing closest to the pre-determined optimum time are awarded blue ribbons. Additional ribbons will be given to the other 9 top finishing teams in each division. Entry fee of $60 per adult rider and $50 per junior (under 18) rider. All riders must sign a Liability Waiver. All riders must wear helmets. Lunch is included. Spectators may purchase lunch on the grounds. There is no water available for horses in the exercise field, so please bring water containers. 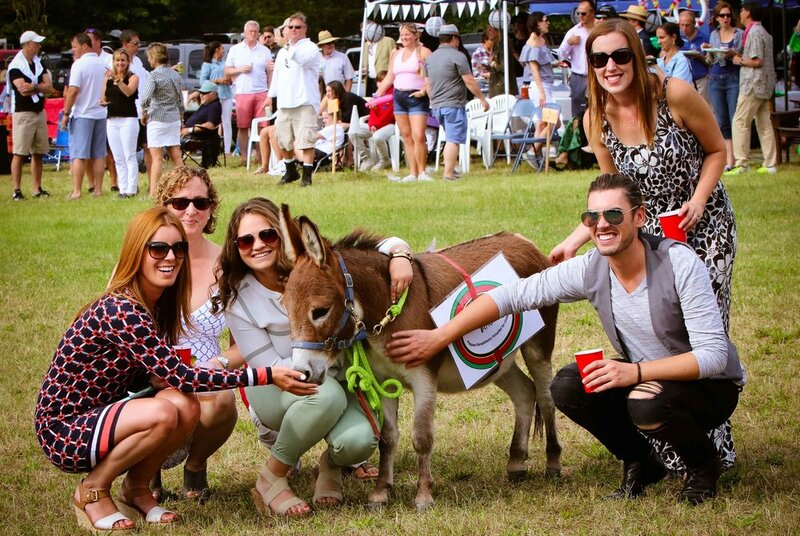 The 16th annual "Polo In the Country" -- a fun filled afternoon of sport and entertainment for adults and children alike--will take place on Sunday September 9, 2018 with a rain date of Sunday, September 16, 2018 at the Norfolk Hunt Steeplechase Course, 240 North Street, Medfield, MA. Gates open at 11:00 a.m. Activities begin at 12:15 p.m., Polo begins at 1:00 p.m. The event, presented by the Norfolk Hunt Club, raises funds for the preservation and protection of recreational space in Medfield, Dover, Sherborn and the surrounding communities. Three types of seating are available: general admission (bring your own chair), reserved tailgate spots and reserved table seating. General admission is $20 for adults and $5 for children, payable as you enter. Tailgate spots at field side are $115 by advance reservation. Table seating is $40 per seat or $300 per table of eight and must be reserved in advance. To purchase tickets, (508) 250-9953 or email norfolkpolo@gmail.com. This year's match will pit Norfolk Polo against Dedham Polo. Both teams are comprised of players who have competed throughout the United States, Europe and South America. "Polo In the Country" is the only polo event open to the public in the Metrowest area. The afternoon flies by quickly, as entertainment and amenities surrounding the game provide additional excitement for spectators. Children may take pony rides, participate in an old fashioned Candy Toss, get autographs from the players and meet hounds from the Norfolk Hunt kennels. Spectators will enjoy the tailgate competition and the equestrian themed half-time entertainment. The Norfolk Hunter Trials are an important part of the Norfolk Hunt experience. We hope they provide good fun and an opportunity to compete and socialize with congenial people who share similar interests in land preservation, camaraderie, and good sport with horses and hounds. A particular goal of the Norfolk Hunter Trials is to encourage riders to improve their riding capabilities, so that they may have a safer and more fulfilling experience. By preparing for the trials and challenging ourselves to do a little more, we become more competent and more confident riders. Please contact Mike Paparo (mbpaparo@hotmail.com) or (401) 651-3282 with any questions. The courses will open to walk on Friday, september 28th at 1:00 p.m.
Maps will be available in a Tupperware container at the start of the courses, under the "Start" sign. Maps will also be posted on this website Friday morning. A shorter, lower course with jumps ~2'0" to 2'6"
For riders, riding the horse/pony they regularly hunt, who have hunted with Norfolk at least 4 times in the current calendar year. (b) Novice Open For any rider wishing to ride the novice course. Teams of riders to ride abreast or sequentially as their discretion. Abreast scores more points. Order may change during the course. No restrictions on entries. Horses and riders may have competed in earlier classes. Horses competing in Novice divisions may NOT compete in any other division except Pairs. Riders competing in Novice Open division may NOT compete in the qualified divisions, but may compete in pairs and in open on another horse. For riders, who have hunted with Norfolk, riding the horse/pony they regularly hunt. Rider-horse combination must have hunted with Norfolk at least 4 times in the current calendar year. Ribbons will be awarded separately for junior and senior riders. Any rider-horse combination, provided horse has not competed in earlier classes. Juniors may compete in this class. Novice -about 12 x-country fences (about 2'6") plus a "gone away," a "hold hard," and a lead-over. Qualified and Open - 20-25 x-country fences (about 3') including a modest ditch, plus a "gone away," a "hold hard," a lead-over and a mounted gate opening and closing (2 minute time limit). Jumps are numbered sequentially and must be taken in that order. Missing a fence will mean elimination. Gone away - move from hunting pace to gallop to hunting pace over a designated interval. Judged on change in pace and horse's obedience. Hold hard - stop at the sound of the hunting horn or judge's call and stand quietly until told to proceed. Judged on obedience. Lead over - dismount and lead horse over a low rail. Dismount, run up stirrups, lower top rail, lead horse over low rail, replace top rail. Remount. A mounting block will be provided. If horse will not cross rail within two minutes, a penalty will be imposed. Rider should continue. Formal hunt attire for qualified divisions, hunt or show attire for all others. Protective headgear is required. The New England Hunts Championship Hunter Trials will be held on Sunday, October 21, 2018 and will be hosted by the Myopia Hunt Club in South Hamilton, MA. Divisions 1, 2 and 3 are limited to Qualified horses only. Division 4 is open to all riders. Fence Judges - coming soon! Go down the hill, through 4-way stop, and over the river. Go 3.9 miles. Watch for signs directing to pace and parking. The eighth annual Westport Hunter Pace will take place on Sunday October 21. Located at 442 Horseneck Road in Westport, MA, the pace will begin at 8:00 a.m. with the last rider out at 12:00 p.m. noon. 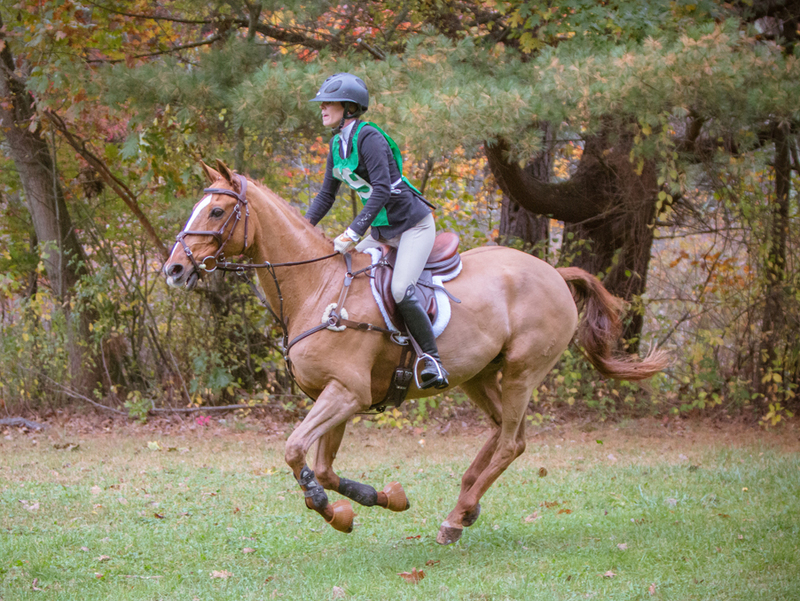 As in past years, the hunter pace course will offer 8 to 10 miles of terrain through open fields and wooded trails, most of which is usually not available to the general riding community. Spectacular views of the Westport River and historic farms may be enjoyed throughout the ride. We will once again offer a third division -- called Third Flight -- with a shortened course of 5 miles, which offers the same spectacular views to be enjoyed by riders. Teams of two or three riders (participants under the age of 16 years-old must have an adult rider on their team) will compete in one of three divisions: First Flight, Second Flight or Third Flight. All divisions will encounter 20 or more inviting fences and stone walls not to exceed 3' 6" in height. A way around all obstacles will be available to all riders. Riders in all divisions may go around jumps at their own discretion. The First Flight, Second Flight and Third Flight teams finishing closest to the pre-determined optimum time will be awarded blue ribbons. Ribbons will be given to the other 9 top finishing teams in each division. Entry fee is $100 the day of the event, $90 paid in advance. Lunch is included. Spectators may purchase lunch on the grounds. Proceeds are used to support land conservation and farming in Westport as well as land conservation in the Charles River Watershed. Last year's pace was a great success. Blue skies, light winds and safe footing were enjoyed by more than 180 riders. 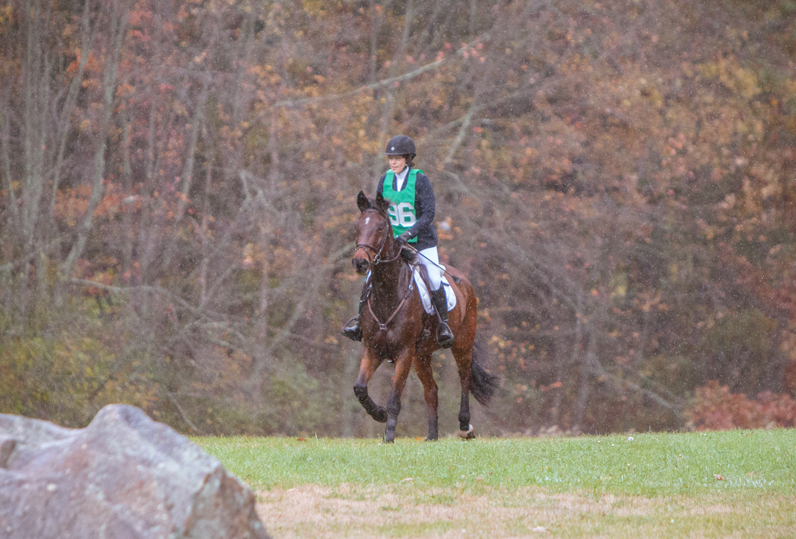 Mark your calendar for October 21st to enjoy the most beautiful hunter pace in New England! Please direct all questions to huntpace@norfolkhunt.com or call Lisa Lewis at (508) 740-9270.